Puffiness, fatigue, dryness? Enter the fast fix for tired eyes, featuring Caffeine and Hydrolyzed Collagen. Look like you got your full 8 hours every day. Place 1 pair of gels onto clean, dry under-eye area for 5 minutes (or longer if desired). Discard after use and massage remaining serum into skin. Refresh in an instant. FlashPatch® Rejuvenating Eye Gels feature our highly advanced HydraSurge5™ Moisture System. More effective than topical creams or serums, this patch technology accelerates the delivery of essential ingredients Caffeine and Hydrolyzed Collagen. And the Hydrogels stay put—so you get these ingredients where you need them most. Cooling. Smoothing. Refreshing. Your just-woke-up-like-this suddenly looks a whole lot brighter. 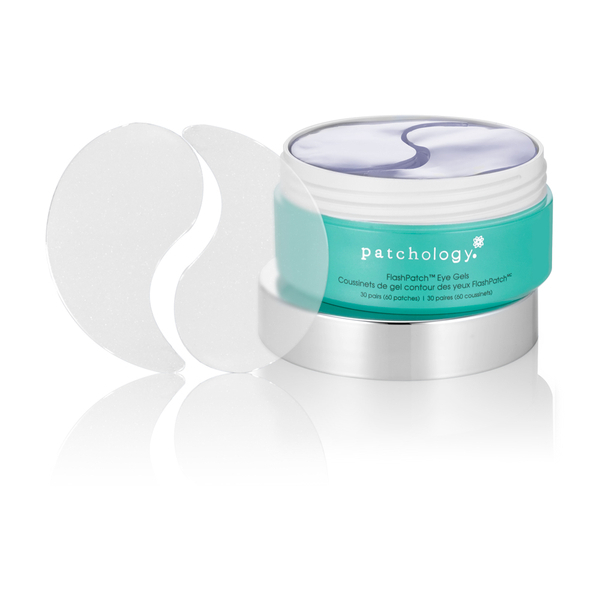 FlashPatch Rejuvenating Eye Gels should become a daily part of your regular pre-makeup skin care regimen. You can also put them on at night to soothe tired, over-worked eyes. They’re perfect for travel, jet lag or pre-party prep.